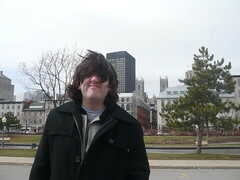 In March/April 2010 my girlfriend and I visited some friends who were living in Toronto. 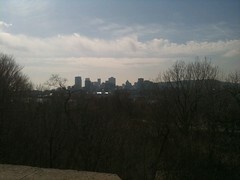 During the holiday we decided to take the 399mile (or 546km as those wacky Canadian’s like to use) trip to Montréal. I can’t remember why I said I wanted to make this 6 hour bus journey, but honestly I just making an excuse to go to the circuit ! We arrived in Montréal on the Tuesday in the evening, and the plan was the next day was to go to the park and walk the track, leaving the rest of Wednesday, Thursday and Friday to do other, non track walking things, to do before we got our bus back to Toronto on the Friday evening. So on the windy Wednesday morning we got a Tim Hortons breakfast, and without bothering finding out how to get to the park we headed. My theroy was head towards the river and we should find it. I was half right. We could see the park and spent an hour or so walking around the docks trying to find some sort of footbridge to get to the park. We gave up and tried again the next day. Thursday. We got a fry in some sort of greesy spoon / chippy place on St Catherine. It was horrible, though it did have a mural of Gilles Villeneuve on the wall (artisticly wasn’t great, but charming none the less!). So, after doing what I should had done previously (i.e. read a map/guide!) we got the metro to the park. 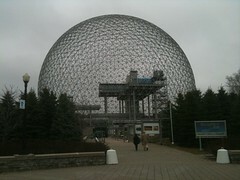 Once we got out of the metro station, we turned left, passed the biosphere (“If there is a better biosphere out there, I’d like to see it!”) and crossed the bridge to the back of the circuit. And there we were, standing were previously Kubica had that massive crash and Martin Brundle thought he saw some “pikeys”. 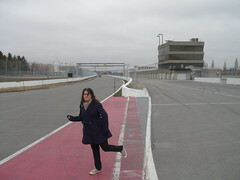 There were dents in the wall and Armco, and the tarmac didn’t fall apart due to my shoes. We then started to walk our lap, albiet not the proper lap..
At a leisurely walking pace we headed towards the hairpin, we didn’t lift and headed up the back straight towards the final chicane and the infamous wall of champions. 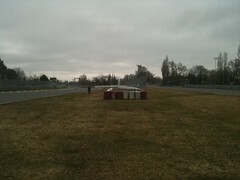 One thing I noticed walking up the back straight: the track is very close to the water! Was disappointed with the wall of champions. I was expecting the famous “Bienvenue au Québec” sign where Jaques Villenueve crashed into in 97, with dints in the wall where many a champion (and more mediocre drivers) crashed into it!. Alas, no, there was just a red and white trye wall. 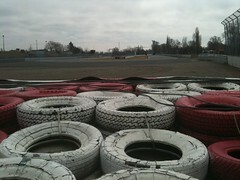 The whole pit area looked tardy. As you can see the wall of champions picture you can see a lake at the other side of the wall.. there is supposed to be a grandstand in that lake! The pit buildings looked old and worn. 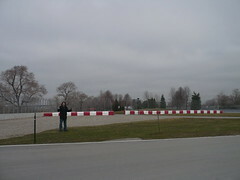 In fairness, it was two years since the last Grand Prix and it’s a temporary track.. they were constructing grandstands at turn one and two while we were there. Actually, it’s impressive how good the place looked when I was watching the 2010 Grand Prix on TV two and a bit months later. 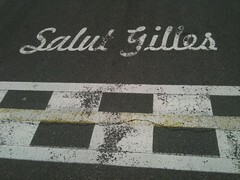 We crossed the crossed the start/finish line and I remembered the “Salut Gilles” on the track. It was heart warming to see! We didn’t go down the pit lane, which we really should of. There was a sign for no entry for the pit lane, but I think that just applied for cars (it’s a public road limited to something like 20km/ph), I should have even went onto Charlie Whiting flag waving post but I had no flag. I also should have went to the podium (from what I recall there were steps up to it!) 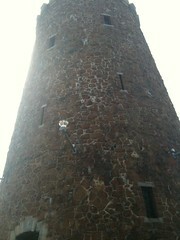 but there were no podium steps.. plus it looked like it would fall apart! Walked round some more. 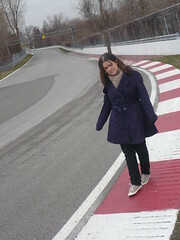 The track is suprisingly narrow, and very close to the water! 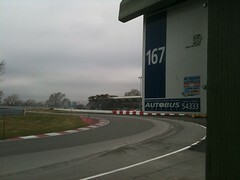 But in playing Grand Prix 3 I knew the circuit like the back of my hand and could maintain the very fast walking pace! 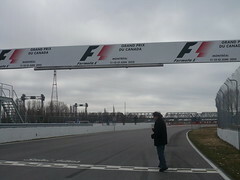 Through to turn 8, under the bridge, where the road cars can drive onto the track for a spin (at slow speed!). 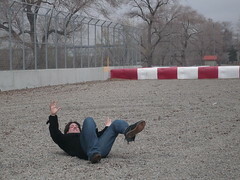 At turn 8 there was a gravel trap, and I wanted to see how it felt (especially for moto GP types), so I jumped in… It hurt! 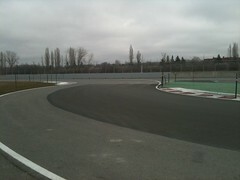 Then onwards towards the hairpin to which we finished our lap. Ok pace.. didn’t time it as we allowed time for photographs. We were lapped a few times by cyclists and cars going the other way (I know! idiots!). But there were two girls behind us on the track and they never caught up so I’m sure it was a respectable time! 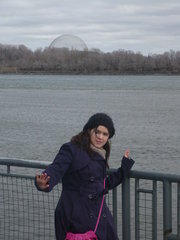 We didn’t go into the biosphere. It seemed a waste of money. 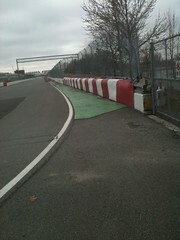 This entry was posted in canada, f1, montreal and tagged canada, f1, Montreal, track, travel, walking by conradder. Bookmark the permalink.